LOS ANGELES -- Interiors supplier Faurecia is teaming up with researchers at Stanford University to study an often-overlooked problem with autonomous cars: motion sickness. As autonomous driving edges closer to reality, the French company is looking at what occupants in self-driving vehicles experience, and how to design interiors to improve the ride. Matt Benson, who heads Faurecia's Autonomous Experience Initiative team, based in Holland, Michigan, said the behavior and experience of vehicle occupants will change once drivers are able to disengage from active driving and turn to other pursuits. Faurecia and Stanford's Center for Design Research have been studying the issue for about six months and presented some preliminary findings here at the Connected Car Expo on the eve of the Los Angeles auto show. One is that car sickness is a hurdle, Benson said. Passengers in autonomous vehicles expect use in-car time to read or use handheld devices -- both activities that can cause motion sickness, he said. "You're eyes are focused on your iPad and they are telling your brain you're stationary, but your body senses the motion of the car, the braking, the lateral forces, that tell your brain you're moving," he said in an interview. Faurecia is now working to find solutions in interior design that can mitigate car sickness, and hopes to have some early concepts in the next six months or so. It will be conducting tests in Holland as also at M-City, the autonomous vehicle test track set up at the University of Michigan in Ann Arbor. 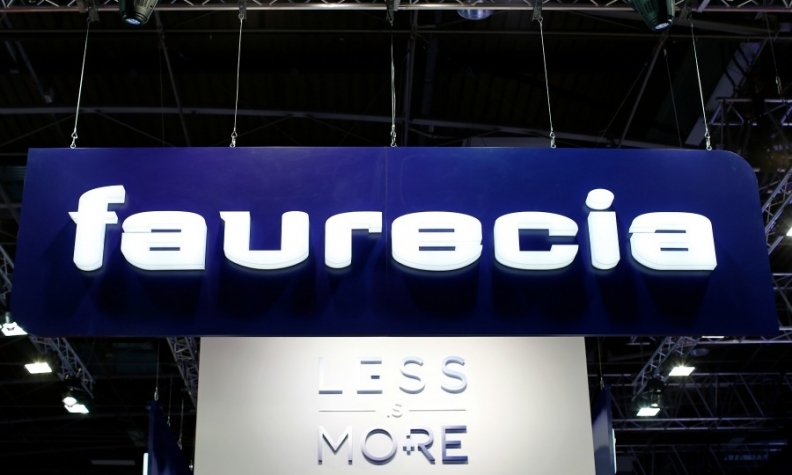 Aside from motion sickness, Faurecia is also looking at how to design interiors to improve safety, and the "confidence" of occupants who give up active control of a vehicle. Occupants who are not actively driving may need more feedback and information to remain aware of their surrounds and the traffic environment. Benson said that could mean putting additional screens, displays and warning lights in the interior -- perhaps in doors and across the whole instrument panel. Some of the research Stanford has conducted involved observing occupants in simulated autonomous vehicles. The subjects rode in the back of a vehicle with the driver's seat closed off, and were only told a "driving system" was operating the car. In reality, it was a Stanford graduate student. The illusion, however, enabled researchers to get a glimpse at how people are likely to act in a completely autonomous vehicle. Faurcia's Autonomous Experience Initiative involves researchers in France, Germany and Shanghai as well as Holland, Benson said. At the Los Angeles show, the company is demonstrating an "active wellness" interior system that takes biological feedback of drivers to determine if the person is drowsy, attentive, fatigued or in a position to take back control of an autonomous vehicle. Said Benson: "We want to be able to know that so we can create the safest experience."